We are delighted to be able to offer our guards in a large assortment of colours, subject to a surcharge and availability. 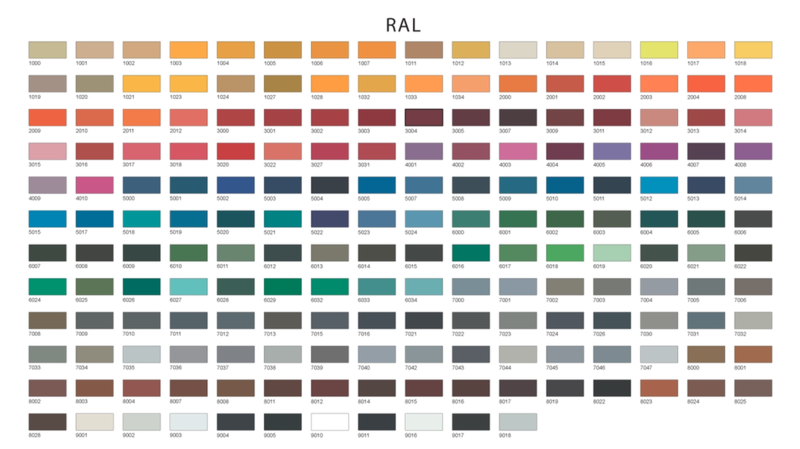 Please select the RAL number from the chart below and call or email us and we will get you a quotation. Please note that this is still the same first class quality powder coating finish that we have always had applied to our guards and cages.